Interactive therapy tools have been designed to work on a wide range of machines including phones, tablets, desktop computers, and laptops. Interactive Tools fail to open or run as expected. If an interactive therapy tool is not working correctly, it may be due to your web browser being out of date. Thankfully, this problem is easy to fix! Web browsers are free, and they should be updated regularly for your own security on the internet. If you've made sure your web browser is up-to-date, and you're still having issues, let us know. Email us at support@TherapistAid.com. How to open and print worksheets. Our worksheets are PDF files, which can be opened with software such as Adobe Acrobat Reader or Foxit Reader. The software required to open PDF files is usually pre-installed on phones, tablets, and computers. However, if you find that you're unable to open our worksheets, choose one of the PDF readers below, and install it on system. That's all it takes! Worksheets are not printing correctly. Printing issues can be difficult to diagnose and fix because of the many combinations of computers, printers, and software. However, we've found a few fixes that will solve the issue for most users. 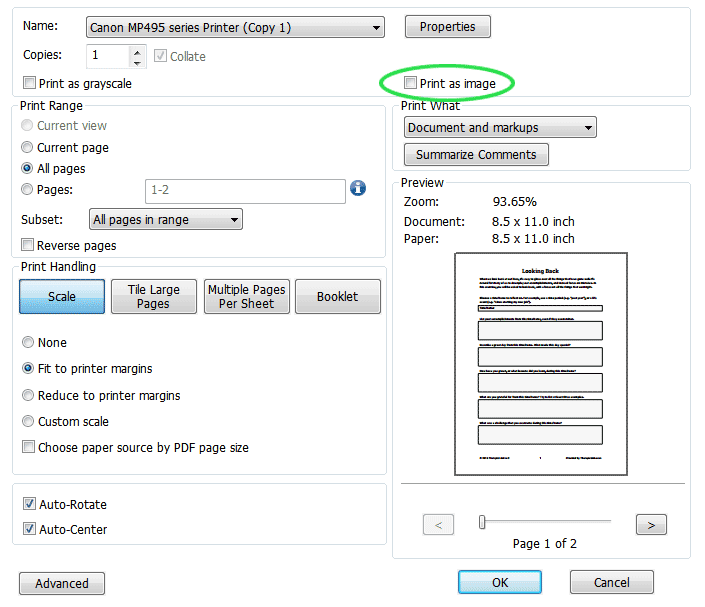 Prior to printing a worksheet, enable the "Print as image" setting in your print options (picture of the setting). You'll find this option in the settings menu that pops up immediately prior to printing a worksheet. The location and wording of this setting might vary, depending on your computer and printer setup. Install a different PDF reader. If you're having trouble opening or printing our worksheets, the culprit is often an obscure bug in a particular PDF reader. We find that our worksheets work great with the latest version of Adobe Acrobat Reader, which is free to download and use. Unable to complete or save fillable worksheets. Opening a fillable worksheet directly within an internet browser (e.g. Internet Explorer, Safari, Chrome, or Firefox) may prevent you from completing or saving these handouts. Instead, the file should be saved to your device and opened with a PDF reader. When a worksheet has been translated to another language, you'll see a new download link directly above the "Download Worksheet" button. To find worksheets of a particular language, visit our search page and search for your desired language, plus whatever topic you're interested in (e.g. "Spanish CBT worksheets"). Have a specific worksheet you would like to see translated? Let us know! We're gradually translating our entire library, but we're happy to move requests to the top of the queue. Want to help with translations? First of all: Thank you! Reach out to us at contact@TherapistAid.com and we'll get you set up. We've made it as easy as possible to cancel your subscription as a supporting member of Therapist Aid. Members with an active subscription will see a "Cancel" menu item within their account settings. We offer special rates for organizations that would like to create accounts for 5 or more users. Please contact us at contact@TherapistAid.com to learn more. You are welcome to switch between our monthly and annual plans at any time. Visit your account settings page, and click the "Subscription" menu item. Your new plan will begin at the end of your current billing period. What happens when switch my subscription between the monthly or annual options? When you switch a subscription between the monthly or annual membership options, the change will go into effect on your next scheduled payment date. For example, if you have a monthly subscription and you upgrade to the annual option, you will be charged the annual rate (instead of the monthly rate), at the end of your current billing month. We can only accept payments via credit card at this time. We may add additional payment options in the future. You can change or update the credit card you are using for subscription payments by visiting your account settings page, and clicking the "Credit Card" menu item. If you are not 100% satisfied with your purchase, we'll be happy to provide you with a refund within 7 days of your purchase. Email us at support@TherapistAid.com, or call 1-800-783-4861. How do I receive the Therapist Aid newsletter? Simple! Just click the button below, enter your information, and then check your email for a confirmation letter. If you're having any trouble getting registered, email us at support@TherapistAid.com and we'll sign you up manually. 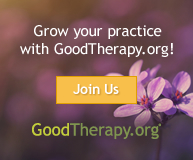 What is the Therapist Aid newsletter? ...Are you going to spam me? Let us start by saying: we hate spam as much as you do. We never share our users' email addresses, and we never send spam. On average, we send about one email per month, and it's almost always because we have new tools to share. If you sign up for our newsletter, you'll be notified when we've added new tools to the site. We also like to share a little behind-the-scenes info about the creation of our tools, and some links to interesting mental health news, research, videos, and resources. We think you'll like our newsletter! It's simple, and helpful. But we know people change their minds, so we make it easy to cancel. Can I be removed from the newsletter? Of course. At the bottom of every newsletter you receive, you'll notice an "unsubscribe" link. Or, click here and enter the email address you would like to unsubscribe. Can I use your resources for _____? Tools created by Therapist Aid LLC can be printed, shared, or viewed during mental health or medical treatment, social work, or for purposes of education. However, our resources may not be edited in any way, and they may not be redistributed or repackaged for commercial purposes. You may give worksheets to clients during therapy sessions. You may distribute worksheets during classes, presentations, or seminars. You may share links to resources on our website. You may create a packet of tools for your clients which includes our resouces, as long as there is no charge for this packet. Our worksheets, or the content contained within them, may not be republished on other websites or publications. The copyright information on our resources may not be altered. The resources provided by Therapist Aid LLC may not be altered without explicit written permission. These lists do not cover all possible accepted or prohibited uses. If you're uncertain about your desired use of our tools, or you would like to ask for an exception, contact us at support@TherapistAid.com. Therapist Aid's complete Terms and Conditions of Use can be found here. Some content on Therapist Aid uses cutting-edge web technology. Unfortunately, this means that older computers might run into issues if they aren't kept up-to-date. The good news is that it's easy and free to update your web browser. Oh, and it's super important. Using an old web browser puts you at a much greater risk of viruses, and other dangers on the internet. Click on the button below to download the latest version of your web browser. If you don't see your problem listed, or you have more questions, get in touch with us. You'll be talking with a real person—not one of those useless automated bots! Email us at support@TherapistAid.com.